The party confronts lieutenants of the Abyss in their attempt to destroy Orcus’ third temple. The battle raged. 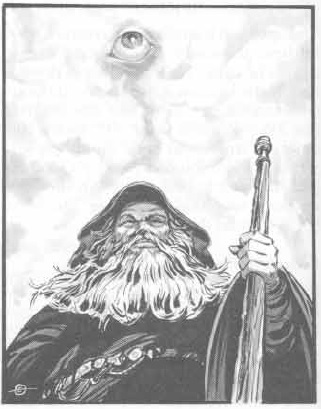 A huge vicious looking balor demon towered over Bright Yilling, with Deckard Cain hopelessly tangled in his whip. In the back, a disgusting 4 armed demon looked at the party and howled. It ricocheted through my mind; I was on the brink of not being able to move a muscle. But I resisted! My friends needed me to pull through here. I looked around and saw that the horrid sound the creature was making had frozen Shia and Susurrus in place. I leveled my bow and took down the shrieking demon in a few arrows. I then turned my attention toward the main attraction in the room. And I’m not talking about the chandelier. 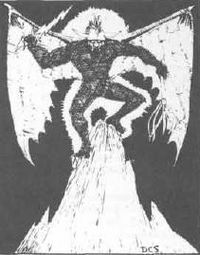 I’m talking about the mother f-ing balor demon. I only had a few seconds to shoot off three arrows before the lampshade fell over my head and covered my eyes. It was all up to Bright Yilling to take down the monstrosity. And might I say, looking back on it, it was quite a takedown indeed. He swung his greataxe in such a mighty swing that it chopped the demons head right off. And as the subsequent explosion went off it seemed like he swung and decapitated it as well. But all our troubles were not over yet. Wraiths swarmed out the walls and a giant metal spider scuttled along the ceiling toward the party. The wraiths were awfully clumsy however, and only managed to connect a few measly hits. Susurrus had collected his wits and, with a couple of spells from him and some arrows from me, they were all dead. Bright Yilling burst into a fit of coughing, and after a moment of confusion I realized that the Ever-Smoking Bottle was still pouring out smoke and he did not have one of the Goz Masks on. Silly barbarian. I chuckled to myself and ran down to the room with the statue in it to make sure that there was nothing left to kill. After confirming that we were safe and returning to the party to heal, Susurrus suggested that we all go into his magnificent mansion to sleep and heal. The party assigned Bright Yilling to guard duty while the rest of us slept. 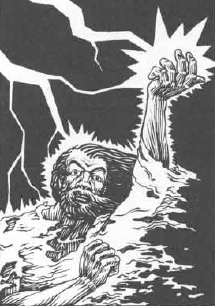 After an hour or two, he awoke the party because a storm giant had wandered down here. Susurrus informed us that these creatures tended to be good aligned but we went out just to be sure. The mansion was invisible, so he was quite surprised when we emerged. After our dear wizard calmed the beast down in Giant, we decided that it was a good idea to detect good on him to make sure he was on our side. Great thing we checked because as it turned out, it was one of the few storm giants who had turned away from the path of good. We quickly… disposed of it, and went back to sleep. There were no more disturbances for the rest of the night and after a nine-course breakfast, we were ready to continue exploring what we thought was the temple. Down a hallway to the left we found a goblin lair. We killed them off with no problem. The toughest part of the area being a stone golem. We looted our way through and picked up quite a decent treasure hoard. The last important thing to do on this level was to purify the area so that we could get the holy Auren Beacon. After a short message to the eye the Pope had sent after us, we teleported to the church and picked him up. Once he arrived, he quickly informed us that this place holds no power and that it is not a temple at all. We apologized profusely for the mistake and promised that we are close to the temple and will purify it soon. After he was gone, I remembered that there was a lever underneath the giant Orcus statue. I pulled it and a section of the wall opened up revealing a stairway down. Eager to find the real temple, we quickly filed downwards until we found ourselves in a room filled with skeletons. We opened the door to the room a crack and had Susurrus send an Arcane Eye down the tunnel beyond. He reported back that a few wraiths were nearby. A little while later he confirms that this is the real temple and that there is a giant room filled to the brim with the undead. Shia recommended that we return to the air elemental plane to gear up before this mega battle. The party readily agreed and we teleported away. Need to talk? Got something to say? Well that’s too bad, I’m Irrelevantly far away!